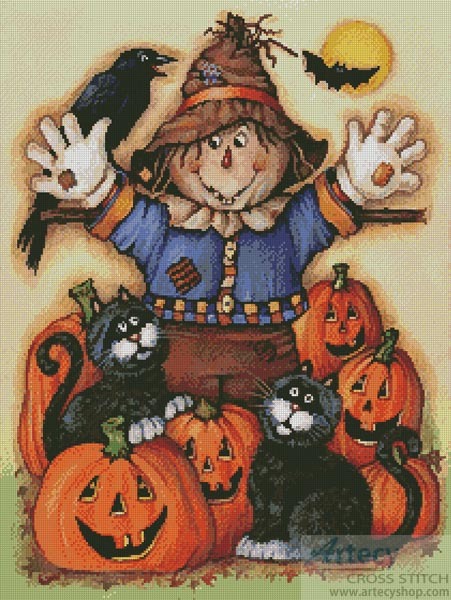 Scarecrow's Halloween Pumpkin Patch Cross Stitch Pattern to print online. This counted cross stitch pattern was created from artwork copyright of Gloria West. Licensed through Porterfield's LLC. A version of this Pattern with the background removed can also be found here. This product was added to our catalog on Friday 18 October, 2013.